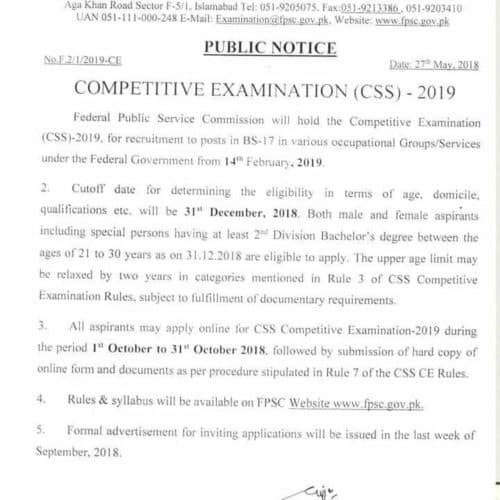 FPSC CSS Exam Schedule 2019 has been declared: Federal public service commission will hold the competitive examination CSS 2018, for recruitment to posts in BS-17 in various occupational groups / service under the federal government from Thursday 15th February 2018. Cutoff date for determining the eligibility of the candidates in terms of age, domicile, qualification etc. will be 3l st December, 2018. 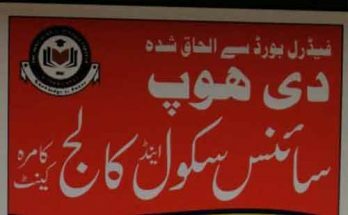 Both male and female including disabled persons having at least 2nd Division Bachelor’s degree between the ages 21 to 28 years as on 31.12.2018 are eligible. The upper age limit may be relaxed by two years in categories mentioned In Rule of 3 of CSS CE Rules 2018, subject to fulfillment of documentary requirements. 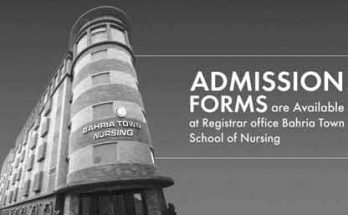 All aspirants may apply online for CSS Examination 2018 during the period 1st October to 31st` October 2018, followed by submission of hard copy of online form and documents as per procedure stipulated in Rule 7 of the CSS CE Rules 2018. 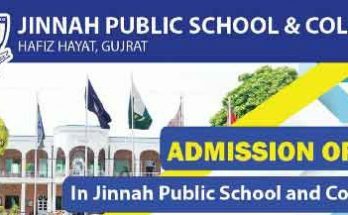 Formal advertisement for inviting applications will be issued In the last week of September, 2018. 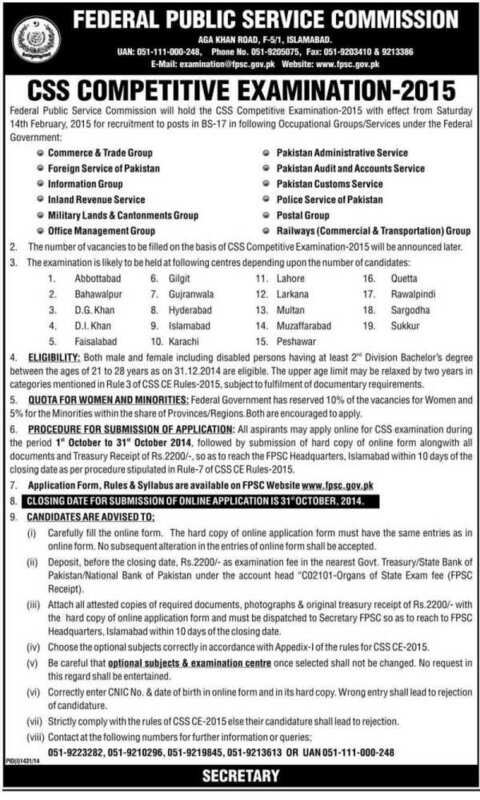 The federal public service commission will hold the central superior services (CSS) competitive examination 2018 for recruitment to posts in BS-17 in the following Occupational groups/services under the federal government with effect from 16 February 2018.
both male and female including disable persons having 2nd divisions in bachelor degree between the age of 21 to 30 years as on 31st December, 2018 are eligible.Graduate minimum 2nd Division. federal government has reserved 10 % of the vacancies for women and 5% for minorities within the share of provinces / regions. both are encouraged to apply. sir if i am 20 but i have done bsc 2 year program as mentioned in requirements than am i still eligible for css exams?